On edge – ready to snap at the next person who looks at us wrong. Does this describe you at times? I know I can go here if I’m not aware of where my mind and attitude are wandering..
Do you remember the biblical account of the disciples in their boat in the middle of a huge storm on the lake? I visualize all of them trying to row against the giant waves that were breaking over their boat. The waves were filling the boat with water and almost capsizing it. That’s you and me. Worrying. Anxious. Fighting the waves all on our own…….and losing. While Jesus sleeps in the corner. Jesus never sleeps now but he does wait sometimes to get involved in a situation until we ask. Throughout his ministry, he constantly told listeners to see and to knock and to ask. But do I always remember that? I wish my answer was yes because I know Jesus is always there to help me solve my problems. He wants me to recognize my need for him at the beginning of the trial and ask for his intervention. Before their boat totally sunk, the disciples finally got it and woke up Jesus. 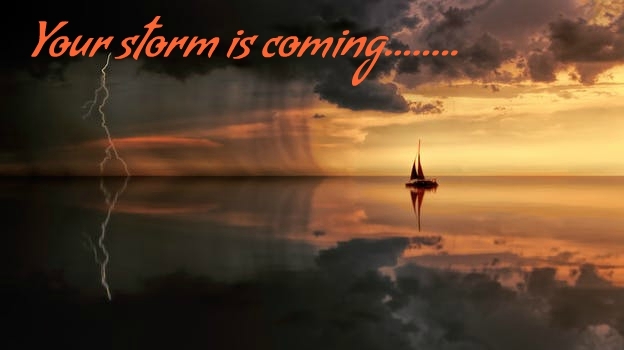 That’s all they needed to do – he took it from there by supernaturally calming the storm. Why don’t I always remember this when waves start rocking my world? Why don’t you always remember this when the night is dark and long with worries and anxiety? Are there waves breaking over the edges of your boat right now trying to swamp you? Have you ‘woken up’ Jesus? Thank you for your faithfulness, Lord.